While a lot of the stuff you do with your phone will involve wifi, the essential functions of a phone—the calling and the texting—still rely on a connection to a cell tower. If that link breaks, you can miss important messages or be out of reach to family and friends. Here’s what you can do if you struggle to get a solid cell network connection at home. The first step to doing something about poor cellular reception is understanding what causes it. Obviously, if the nearest cell tower is a long way from where you are—a staple plot device in no end of horror and thriller movies—then your phone will struggle to establish a link. Large mountains and skyscrapers don’t help either. There’s not a whole lot you can do about that, except switch to another carrier or put pressure on your current one to improve coverage. Get friends on different networks to check the coverage on their phones, and if there’s a big improvement, you’ve got a good reason to make a change. You can’t move the location of your nearest cell tower, but you might be able to change certain aspects of your home’s layout or configuration: Thick, cement walls are known as notorious signal blockers, while various types of insulation, metal fittings, glass windows, and even dense foliage can also cause problems. Other electronic devices can interfere with cell reception too, so it might be a good idea to avoid stuffing all of your gadgets and gizmos in one room in the house to give the cell signal an easier ride through your various rooms. Dealing with some of these obstructions is easier than others—maybe you don’t want to knock down a dividing wall just to get better cell signal—but there might be some modifications you can make. 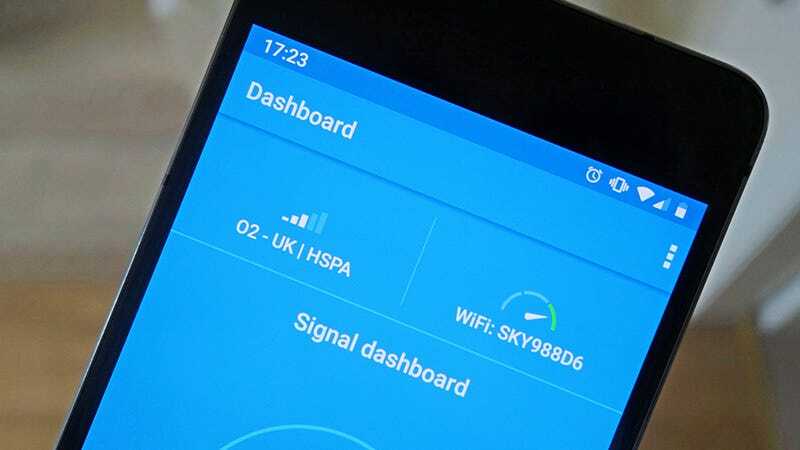 Keep experimenting with layouts and use an app such as OpenSignal to check signal strength (the same app can also show you which carrier offers the best coverage for your area). The most common fix for a weak signal is to install a signal booster. It works just like a wifi booster, taking a signal from somewhere you do have reception and boosting that signal through the rest of your house. If you contact your carrier about bad signal strength, this might be the first suggestion you get. Most signal boosters work by using an antenna on the roof to pick up any bars of reception available, then connecting that to an internal antenna which then handles communications between your phone and the booster system. Other models connect to your router and funnel calls and texts that way—a better option if you home is in a completely dead zone, coverage-wise. Verizon will sell you a signal booster that connects to its network through your broadband router for a rather steep $249.99, with support for 4G LTE connections and up to 14 connected devices. AT&T no longer sells its own booster, pushing customers towards wifi calling instead (see below). T-Mobile and Sprint offer the best deals. If you’re struggling with coverage, you can get either a traditional signal booster or a device that uses your wifi network for free, as long as T-Mobile or Sprint deem your coverage woes to be valid. Get in touch with your network provider directly for full details. Third-party signal boosters are another option, though they are expensive (and the FCC requires that you register devices with your carrier first, to avoid any potential disruption to the network). The Cel-Fi box, for instance, comes well recommended but will set you back $599, while the WeBoost Connect is another powerful option but is only a little cheaper at $549.99. You might think those prices worth it for a permanent fix to your cellular signal woes, but at those prices you want to make absolutely sure they’re going to work in your home: Buy from somewhere with a solid returns policy so you can test your chosen device out first (most reputable signal booster retails will offer a no-questions return policy). The two key specs you’ll see when shopping are the gain or amplification that a signal booster provides (measured in dB), and the downlink output power (measured in dBm) that indicates how far the boosted signal can travel. The Repeater Store has an excellent and detailed buying guide here which we’d recommend. With wifi more ubiquitous than ever, carriers and phone makers alike have wised up to the idea of placing calls and sending texts over a home wifi network rather than relying on a connection to a cell tower (after all, your router is a lot closer). As long as you have a solid broadband connection, and a home network that isn’t too cluttered in terms of bandwidth, it’s a decent option. We’ve talked about signal boosters that take your wifi and turn it into a regular 4G LTE network, but you can cut out the bridging device for a simpler solution as long as both your phone and your carrier support the feature—and these days the vast majority do. This is really the way all carriers are heading, as customer internet connections get faster and more reliable. To enable the feature in iOS, open up Settings then tap Phone and Wi-Fi Calling. On an Android phone, go to Settings then choose Network & Internet, then Wi-Fi, then Wi-Fi preferences: Tap Advanced then pick Wi-Fi Calling. If your Android phone doesn’t use stock Android, the menus might be slightly different, but you should be able to find the setting somewhere. If you don’t see the option, it’s possibly not supported on your phone or your carrier, though that’s getting rarer. Of course, an alternative strategy is to use some of the host of apps out there—from WhatsApp to Facebook Messenger—to handle messaging and calling duties instead. They can work over wifi as well as cell networks, so as long as you have one or the other, you’re sorted. Where apps like these fall down is when someone who isn’t on one of these platforms tries to reach you, or when you really need to make a normal call—like a 911 emergency call. With those caveats in mind we’d recommend exploring some of the other ideas above, just to be on the safe side, rather than relying on something like WhatsApp.